West Hollywood, Hollywood, The Hollywood Hills and The famed Sunset Strip is and will always be L.A.’s hippest community ever. This is the land and all the hills above the Sunset Strip, which stretches along Sunset Boulevard from the boarder of Beverly Hills East to Laurel Canyon. A major selling point for the community; the spectacular panoramic views which extend from the skyscrapers of Downtown Los Angeles to the glorious Pacific Ocean on a clear day. Another reason for the influx of upscale homebuyers is the open minded urban attitude in people, especially among younger buyers and the ‘Artists’ community. There is a fantastic history of nightlife that was created years ago in the Golden Era of Hollywood which has continued throughout the decades. 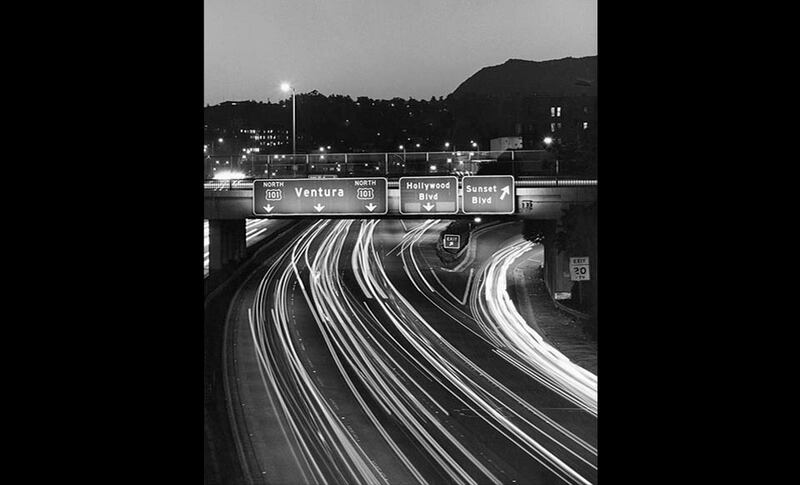 All of Hollywood's history goes back to the 1780s when what is now known as the Sunset Strip emerged as one of the principal routes connecting el Pueblo de Los Angeles to ranchos further west and the Pacific Ocean. In the 1880s, Mexican Dons began to sell their land to settlers from the Midwest, East Coast and European immigrants. The railroad moved into Los Angeles in the 1890s, significantly accelerating the development of the region. The main railroad yards for the Los Angeles Railroad were located in the town of Sherman - now known as West Hollywood. In the early 1900s, the town of Sherman chose not to incorporate into the City of Los Angeles and became notorious for the disrepair of its streets and the availability of liquor during Prohibition. Sherman thrived as a hub for rail access and benefited from the emergence of the movie industry in nearby Hollywood. 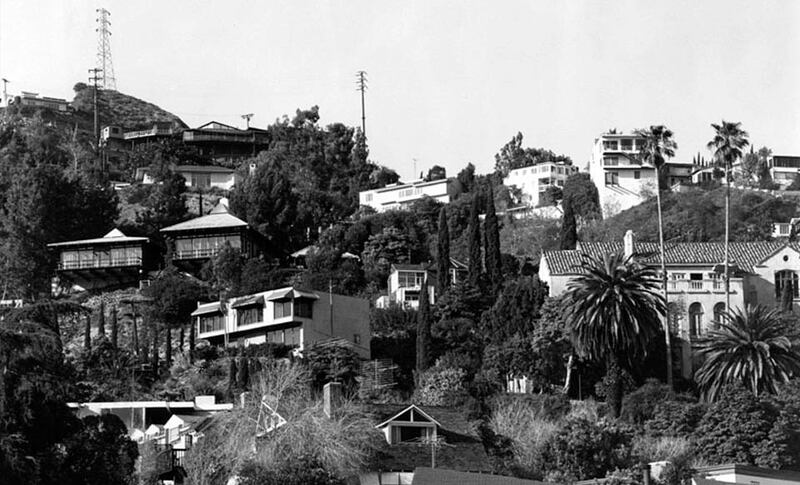 In the 1920s, Sherman became known as West Hollywood, emphasizing its relationship to its famous neighbor. 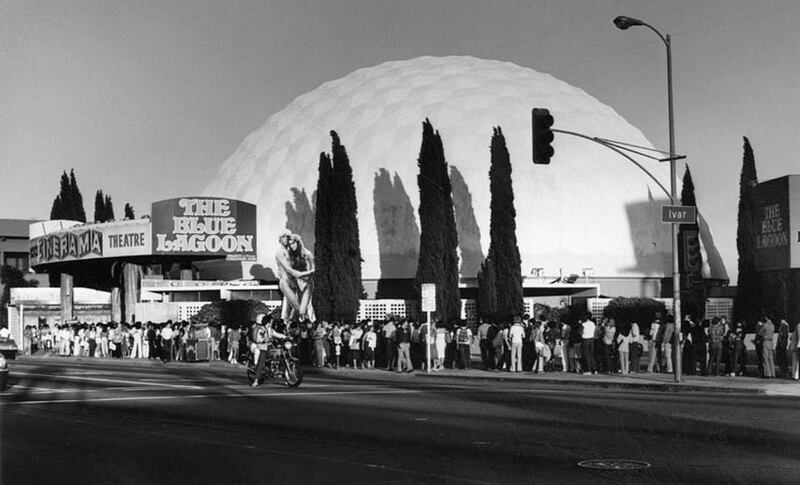 West Hollywood remained unincorporated; and because of loose land-use regulations and the repeal of Prohibition, the Sunset Strip became the home of many glamorous nightclubs such as the Trocadero, the Mocambo and Ciro's. 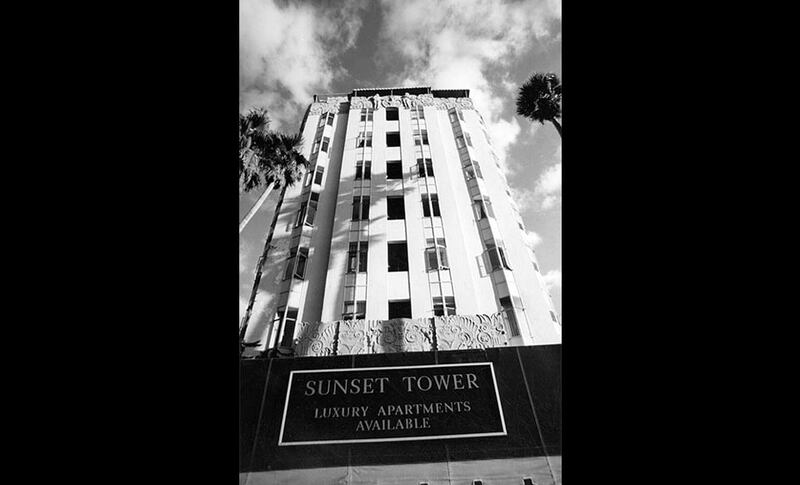 Sunset Tower (now the Argyle Hotel) and many smaller courtyard buildings were home to such notable people as Frank Sinatra, Charlie Chaplin, Howard Hughes, Katherine Hepburn and Marlene Deitrich. 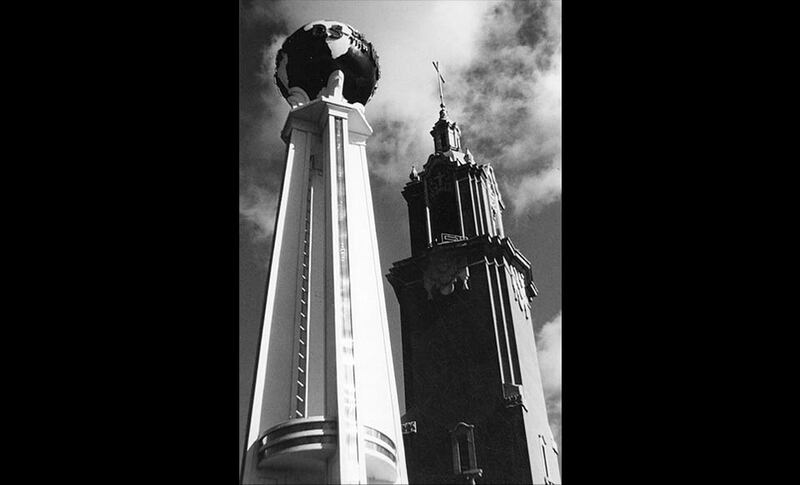 The 1930‘s was a unique era; Although gambling was illegal in the City of Los Angeles, around the unincorporated area of the Sunset Strip gambling was permitted & thrived. This gave rise to nightclubs, entertainment and invited an influx of gamblers & gangsters from the East Coast like Mickey Cohen and Bugsey Segal. By the 1950s, the glitz of Las Vegas had eclipsed the glamour of the Sunset Strip. 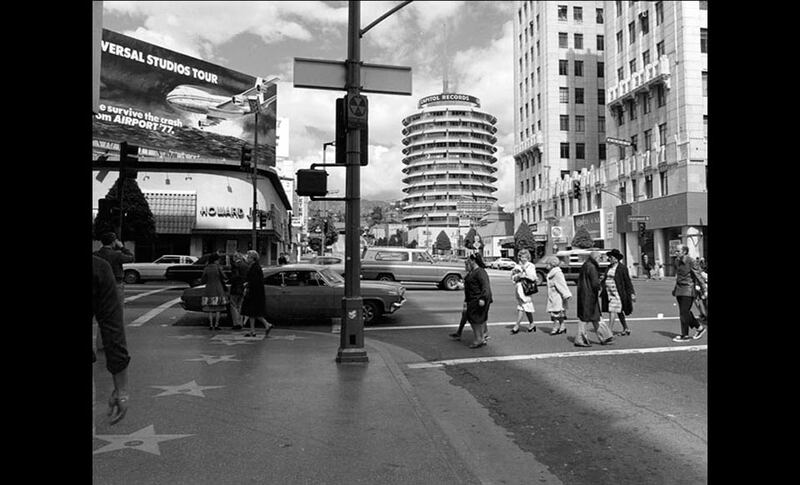 However, in the 1960s, Sunset Boulevard revived itself as the home of a thriving new music industry. The glamorous nightclubs of the 1950s were replaced by a new generation of clubs including Whisky-a-Go-Go, The Kit Kat Club and The Roxy. The entertainment industry soon became vital to the economy of West Hollywood. 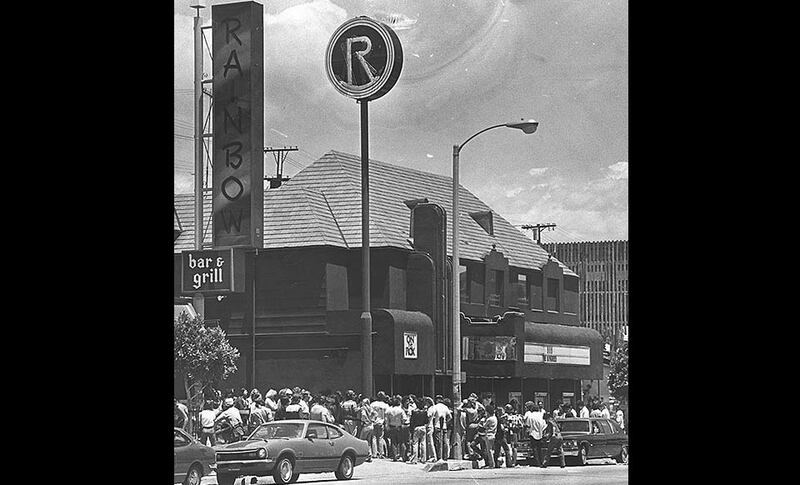 Then in the years to follow came ‘The Rainbow’, ‘The Viper Room’, ‘The Troubadour’, ‘The House Of Blues’, The Comedy Store’, ‘The Laugh Factory’, ‘The Hollywood Paladium’, and in the last decade there has been a dramatic improvement in nightlife & shopping along the Sunset Strip. The kickoff was the sale and conversion of the Mondrian Hotel with the opening of ‘The Sky Bar’. As early as the 1950s, the design and decorating industry had also found a home in West Hollywood in the area near Beverly and Robertson Boulevards where the famous Beverly Center Shopping Center now calls home. In the early 1970s, the original site of the railroad yards was cleared of light industrial use. The 750,000 square foot Pacific Design Center was built in 1975, and it became the anchor for the burgeoning Avenues of Art & Design. The majority of building and remodeling occurring in the Sunset Strip / Hills today is on the cutting edge of design & interior design. The Pacific Design Center is the ’Undisputed Blue King of Interior Design‘ located on Melrose Avenue, just a few blocks from The Sunset Strip. Spurred by a desire for greater local control, a coalition of seniors and the area's growing gay and lesbian population joined together to fight the threat to end rent control under Los Angeles County government; West Hollywood became incorporated as a City in 1984. In the last decade, the City has undertaken projects to strengthen its economy, including revitalization of the City's East Side and approval of the Sunset Specific Plan to guide and promote quality development along historic Sunset Boulevard. The Hollywood Chamber was formed in October 1921 to replace the old Hollywood Board of Trade. It consists of owners, managers, presidents and other key representatives from a spectrum of businesses and organizations around the Hollywood community. 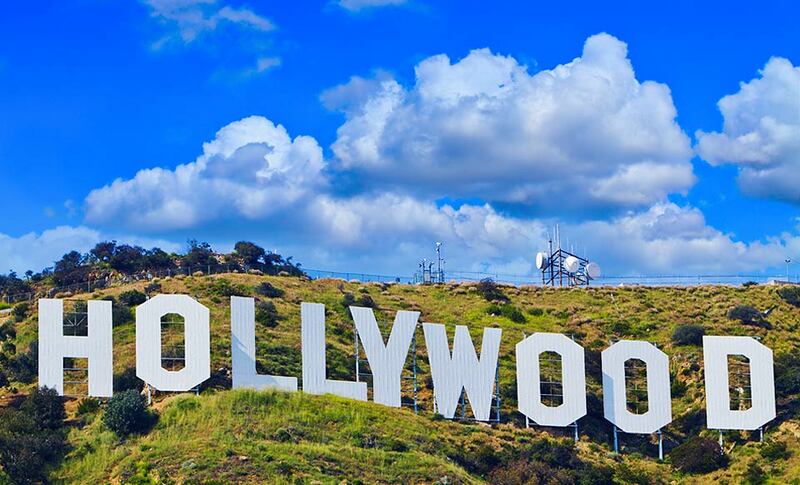 The notable Hollywood Sign and the Walk of Fame exist today due to the efforts of the Hollywood Chamber of Commerce. In 1953 The idea for a Hollywood Walk of Fame was generated by Chamber members and a committee was formed to pursue the idea. 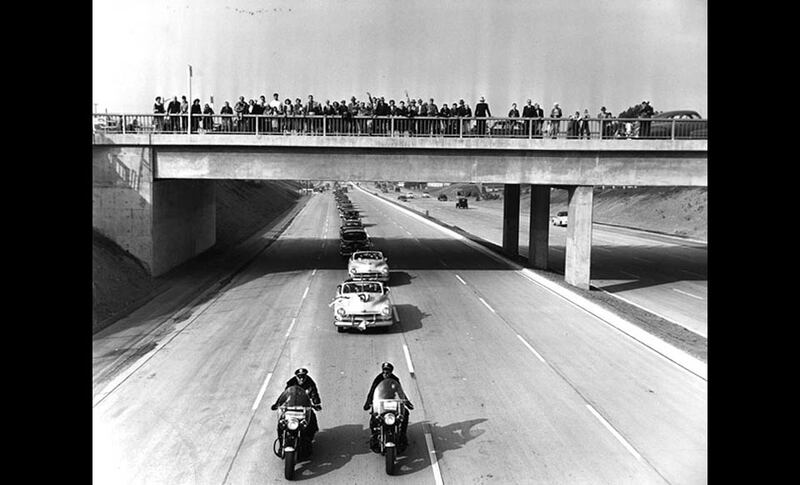 Following a vote by property owners to create an assessment district, the Walk was installed in 1960. 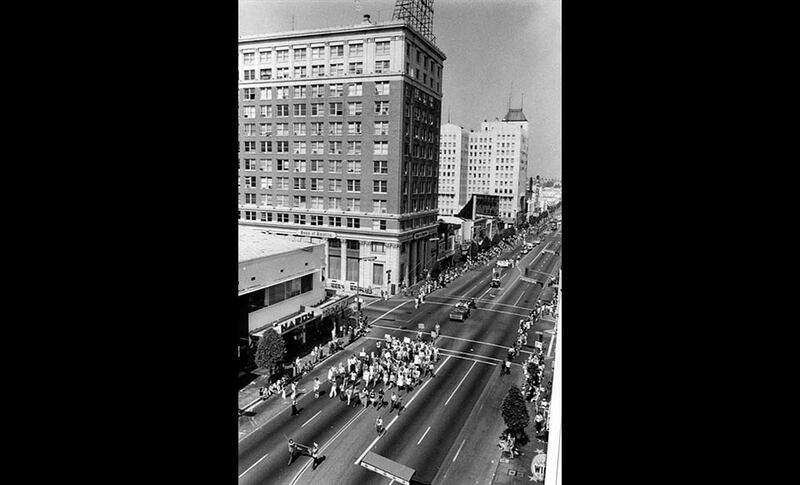 In 1962, the L.A. City Council appointed the Chamber as the institution to handle additions to the Walk of Fame. The Hollywood Sign: It’s more than just nine white letters spelling out a city’s name; it’s one of the world’s most evocative symbols – a universal metaphor for ambition, success & glamour for this dazzling place / industry and dream we call H-O-L-L-Y-W-O-O-D. The Chamber entered into an agreement with the Department of Recreation and Parks to repair and rebuild the Hollywood Sign and to remove the “land” so that it would spell “Hollywood”. The cost was $4,000. A second restoration was done by the Chamber in 1973 & in 1978 The Hollywood Sign had deteriorated to such a level that it could no longer be rehabilitated, The Chamber formed a “Save the Sign” Committee and raised $250,000 in 32 days to completely replace and rebuild the Sign. The Hollywood Forever Cemetery was Hollywoods first cemetery which opened in 1899, consists of 100 Acres of beautifully landscaped grounds and numerous legendary celebrities are buried there including Rudolph Valentino who died in 1926. Hollywoods oldest cemetery is a tourist destination as well as a place where Southland residents can enjoy movies such as Easy Rider and Rebel Without a Cause screened on the side of a mausoleum. 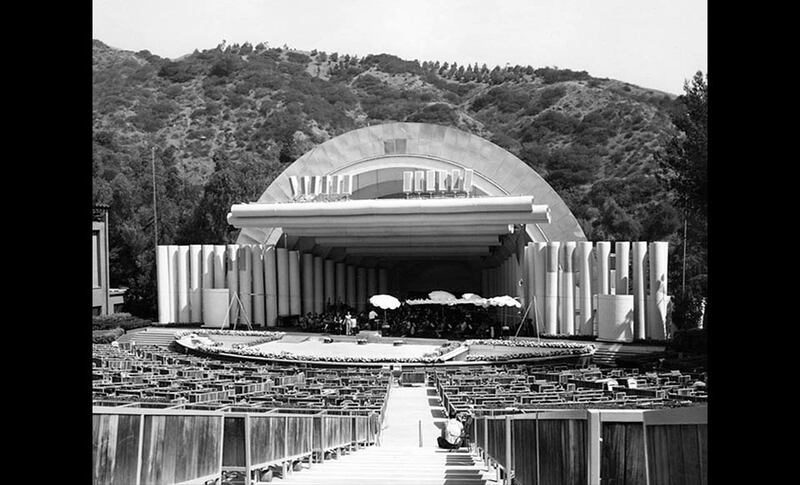 Additional pivotal landmarks include; The Hollywood Wax Museum, The Hollywood Bowl, The Grauman’s Chinese Theatre, Paramount Studios, The Greek Theatre, The Observatory, The Grove, The new Holocaust Museum, The Chateau Marmont Hotel, The Rosevelt Hotel, The Cinerama Dome Theatre, The Magic Castle and Yamashiro Restaurant built in 1914 by the wealthy Bernheimer Brothers who built the exquisite structure inspired by a palace near Kyoto Japan. The furnishings reflected exquisite antique Asian Art and the centerpiece of the gardens is a Japanese 600Plus year old Pagoda, one of the oldest man-made structures in California. In 1948 Thomas O Glover bought the mansion & grounds. He opened a bar for the buildings tenants & neighborhood and spent years restoring Yamashiro to its current splendor. The Mansion is now a Hollywood Asian Restaurant with stunning views of the city. These are just among some of the most favorable landmarks & attractions in Hollywood California. Today, the Sunset Strip, Hollywood and it’s hills are to Los Angeles as Soho / Tribeca is to Manhattan. Real estate prices reflect the Hollywood, Sunset Strip and the Hollywood Hills’ burgeoning popularity. In around 2004 the median price for a single family home in the lower part of the hills (90069) was $1,223,000. In one of the most coveted neighborhoods dubbed as ‘The Bird Streets’ because they are named after birds like ‘Bluejay’ & ‘Oriole’, prices range from $2,500,000 to over $10,000,000 (This is the area adjacent to Beverly Hills East). Recent developments in the heart of Hollywood like the new hip “W” Hotel has created great investor / developer interest. With past buildings of legendary architecture that whisper of events gone by that constitute Hollywood’s exciting story, the whole city has been in redevelopment over the past decade. The most significant structure recently developed is The Kodak Theatre; The crown jewel of the Hollywood & Highland Center retail, dining and entertainment complex located in the heart of historic Hollywood which consists of over 640,000 square feet of space featuring national, regional and local retail tenants, a variety of restaurants, several of Hollywood’s hottest nightclubs, a six screen state-of-the-art cinema adjacent to the world-famous Grauman’s Chinese Theatre and the 640 room Hollywood Renaissance Hotel & Spa. The 3,332 seat theatre opened in November 2001 and soon thereafter became known to more than one billion people across the globe as the first permanent home of the Academy Awards®. Built at a cost of $94 million, Kodak Theatre was designed by the internationally-renowned Rockwell Group to be as glamorous as its onstage artists and celebrity guests, yet capable of serving the enormous technical needs of a live worldwide television broadcast on Oscar® night. For the theatergoer, the Kodak Theatre experience begins on Hollywood Boulevard, where a towering portal, designed by Rockwell, serves as the grand entrance to the theatre, which is set back from the street. A two-story Awards Walk, featuring backlit glass plaques for each Best Picture Oscar® winner on a series of limestone portals, leads up a sweeping staircase with red mosaic tile to the main entrance. The five-level theatre lobby is centered by a grand spiral staircase with cherrywood balustrades, topped by an oval, up-lit silvery dome. Certain lobby design elements were inspired by Michelangelo’s Campodiglio in Rome and Busby Berkeley’s choreography. Twenty-six spectacular images of famous Oscar® winners including Grace Kelly, Jack Nicholson, Marlon Brando, Halle Berry and Julia Roberts are permanently displayed on four lobby levels as photographic transparencies on clear plexiglass hung in front of shimmering beaded “silver screen” panels. The exclusive George Eastman Room boasts the display of an actual Oscar® statuette, one of nine awarded to the Eastman Kodak Company through the years for the company’s scientific and technical achievements and contributions to the wonderful wide wild world of the Entertainment Industry. Weather one decides to join the hip community of the Sunset Strip, the excitement of Hollywood Boulevard swarmed with tourists posing for pictures with costumed characters in front of Grauman’s Chinese Theatre, watch the street performers entertaining crowds of onlookers, or hop on an open top tour bus en route to see star’s homes, studios and world famous sites, hollywood will always impress with it’s famed fab district and flashing marquees. However, if you venture off the beaten path; the main stretch of Sunset & Hollywood Boulevard’s you will discover the more down to earth side of ‘Tinseltown’ that includes a bustling Farmers Market with the best views in L.A., A serene park that screens old classic outdoor movies and a modern art space that showcases pieces from contemporary artists... then of course underneath it all is the land and on top of it is built the fresh face of Hollywood alongside all its nostalgic architectural charm and homes as art.